The idea that rich, industrialized countries should be liable for paying compensation to poorer, developing ones damaged by climate change is one that has been disputed endlessly at recent international climate conferences. The fear among rich countries is that they would be signing a future blank check. And the legal headaches in working out the amount of compensation don’t bear thinking about when there are likely to be arguments about whether vulnerable states have done enough to protect themselves. The question of who pays the compensation bill may prove intractable for some years to come. But the scientific models already exist to make the working out of that bill more transparent. Some context: in the early years of climate negotiations there was a single focus—on mitigating or (limiting) greenhouse gas emissions. Through the 1990s it became clear atmospheric carbon dioxide was growing just as quickly, so a second mission was added: “adaptation” to the effects of climate change. Now we have a third concept: “Loss and Damage” which recognizes that no amount of mitigation or adaptation will fully protect us from damages that can’t be stopped and losses that can’t be recovered. The Loss and Damage concept was originally developed by the Association of Small Island States, which saw themselves in the frontline of potential impacts from climate change, in particular around sea-level rise. By some projections at least four of the small island countries (Kiribati, Tuvalu, the Marshall Islands, and the Maldives) will be submerged by the end of this century. Countries in such a predicament seeking compensation for their loss and damage will have to answer a difficult question: did they do enough to adapt to rising temperatures before asking other countries to help cover the costs? Rich countries will not look kindly on countries they deem to have done too little. If money were no object, then adaptation strategies might seem limitless and nothing in the loss and damage world need be inevitable. Take sea level rise, for example. Even now in the South China Sea we see the Chinese government, armed with strategic will and giant dredgers, pumping millions of tons of sand so that submerged reefs can be turned into garrison town islands. New Orleans—a city that is 90% below sea level—is protected by a $14 billion flood wall. But, clearly, adaptation is expensive and so the most effective strategies may be beyond the reach of poorer countries. Through successive international conferences on climate change the legal and financial implications of loss and damage have seen diplomatic wrangling as richer and poorer nations argue about who’s going to foot the bill. But we can conceptualize a scientific mechanism for tallying what that bill should be. It would need a combination of models to discriminate between costs that would have happened anyway and those that are the responsibility of climate change. Firstly, we could use “attribution climate models” which run two versions of future climate change: one model is based on the atmosphere as it actually is in 2016 while the other “re-writes history” and supposes there’s been no increase in greenhouse gases since 1950. A future extreme weather event might cause $100 billion damage. Attribution studies show that the event has become twice as likely because of climate change. Catastrophe models show the cost of the damage could have been halved with proper adaptation. So the official loss and damage could be declared as $25 billion. While hardly a straightforward accounting device it’s clear that this is a mechanism—albeit an impressively sophisticated one—that could be developed to calculate the bill for loss and damage due to climate change. Leaving only the rather thorny question of who pays for it. This entry was posted in Flood, Natural Catastrophe Risk, Risk Modeling and tagged catastrophe modeling, climate change, climate risk, sea-level rise on May 5, 2016 by Robert Muir-Wood. Last week, as a participant on the Joint OECD/Geneva Association Roundtable on Climate Change and the Insurance Sector, I had the opportunity to outline the (re)insurance industry’s critical role in the financial management of climate catastrophe events. For centuries we have considered that sea level or climate stays the same. But now we must prepare for a world of constant change. A good way to start is by developing dual horizons—today and a generation away—for how we think about risk. But as our world continues to warm and the catastrophe risk landscape evolves, we need a “next generation perspective” of risk: an additional forward-looking perspective focused 15 -35 years in the future. Today’s (re)insurers should expect to develop plans for how they would function in a world where there is an explicit cost of carbon and more intense catastrophes from droughts to floods. Everything we build today, from city center high rises to coastal infrastructure, will still exist but in a more extreme catastrophe event environment. Already the U.K. and French insurance regulators are starting to ask questions of their supervised firms as to how their businesses would function in such a future. In this next-generation perspective insurers will have to play an increased societal role. Today, property owners assume that insurance will always be available. In our future world, that may become an unreasonable expectation. When determining where, and at what elevation, people can build in the flood plain, we should consider the risk over the whole future lifetime of the property, not simply the risk when the property is built. This will require us to develop two defined datums: one for the current location of the 100-year flood zone, and a second “Next Generation” datum, showing where the 100 year flood hazard is expected to be 30+ years in the future. As highlighted by the December 2015 floods in Carlisle, northern England, flood protection already needs to consider how climate change is shifting the probabilities. When a building is constructed above the Next Generation flood datum a lifetime’s insurability may be guaranteed. These dual horizon datums will need to be objectively and independently defined, and insurers will want to be involved in determining what gets built and where. Since 2006, RMS has acknowledged it is no longer safe to assume that the activity of any catastrophe peril is best defined as the average of the past fifty or hundred years of history. What then becomes the basis for determining activities and severities? We have committed more than ten person years of research to exploring what gives us the best perspective on current activity, with a focus on Atlantic hurricane. However we will need to apply the same thinking to all the climate perils. All states of the climate contain a wide spectrum of extremes. If the climate changes, we can expect the spectrum of extremes to change. In a climate hazard catastrophe model we want to know what is the best representation of that activity, including what is the uncertainty in that estimation. Our value to our clients comes from our true independence. This value also extends beyond the insurance industry, to providing a neutral perspective on risk to rating agencies and governments. RMS models are used by both insurers and reinsurers. They are employed for issuing securitizations and for portfolio management by investors in cat bonds. In every risk transaction, the party taking the risk will be more pessimistic than the party giving up the risk. We have a key role to play in providing a neutral science-based perspective. This entry was posted in Natural Catastrophe Risk, Risk Modeling, RMS and tagged climate change, climate risk, COP21, risk modeling on December 8, 2015 by Robert Muir-Wood. Let’s start by celebrating goal achievement. 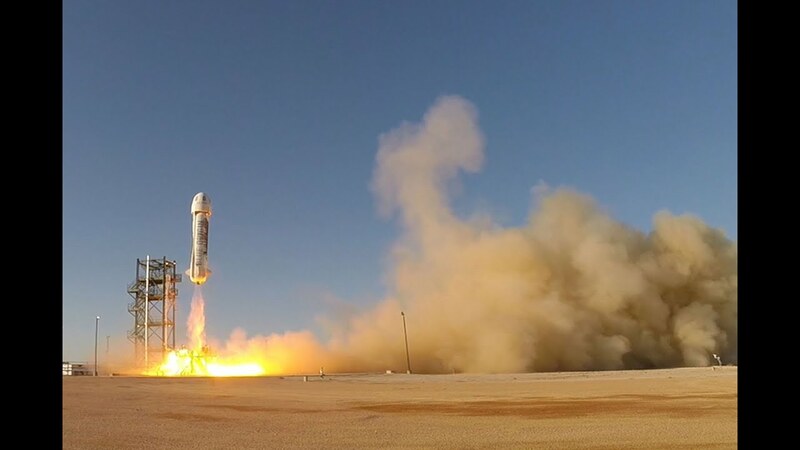 Last week, Jeff Bezos’ Blue Origin rocket successfully took off—and then returned back to Earth. Mission accomplished. But, from 100 kilometers above the Earth’s surface, looking back at our planet, what’s the state of our global goal achievement? Do we even have goals? I ask this as over 50,000 delegates descend on Paris this week for the 21st Conference of the Parties to the United Nations Framework Convention on Climate Change. Or more simply, COP21. COP21 offers the unique prospect of 196 countries achieving a (sort of) legally binding agreement on climate change: to keep global warming below 2°C by reducing greenhouse gases. But what would a “good goal” for COP21 look like and would it ever be achieved? Set your goal. Measure it. Achieve it. It’s easy to get cynical about achieving BHAGs (Big Hairy Audacious Goals), but maybe a template for success has emerged. In 2000, the United Nations agreed to eight BHAGs through its global Millennium Development Goals. 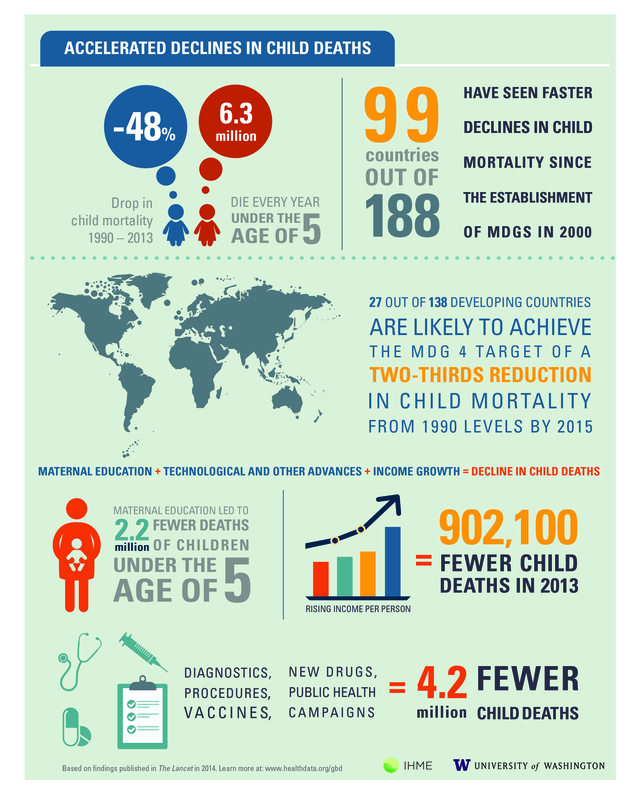 Goal number four was to reduce child mortality by two-thirds within 15 years across 138 developing countries. In 2010, Hans Rosling’s celebrated TED talk outlined a two million annual reduction in child deaths under the age of five within a decade, down to 8.1 million per year. By the end of 2015, we will be below six million deaths per year, almost halving in 15 years. That’s still too high, and many countries will miss the two-thirds reduction target, but nonetheless it is a huge improvement. As Rosling points out, the Millennium Goals were strong due to measurable targets. Clear targets, at individual country level, have driven the ability to lobby for increases in financial resources for clean water, immunization and antibiotics, motivated by strong partnerships and innovations in service delivery. Rio in 1992 is remembered for establishing climate change as being caused by humans, and more specifically, primarily the responsibility of the industrialized countries. France, as host, wants to build on the momentum of Rio, but also learn lessons from past summit failures. So, much of the COP21 framework has been defined and negotiated in advance. Francois Hollande has already agreed with top-polluter China on a mechanism to monitor cuts every five years. The squabbling that characterized Copenhagen in 1999 will be minimized, and high expectations set for those attending, such as encouraging heads of state to arrive at the start, rather than jetting in at the end. Frequent communication with every country participating has been critical. As conference chair, Laurent Fabius, French Foreign Minister told the FT last week “Negotiators sometimes hold firm positions that only ministers can unlock, I know their bosses – I see them all the time. We talk often, it helps”. Paris will pull out all the stops to get an agreement, but will we be willing to accept the short-term costs and constraints to slow down climate change? The answer is probably yes. So what are the lessons for COP21? As Jeff Bezos’ Blue Origin extreme rocket recycling shows, individual changes in our daily behavior such as recycling and energy conservation can affect climate change, but ultimately, changes need to be government led, especially around energy generation and emission control. Whether world leaders are ready to be held legally accountable for missing their climate goals is an ongoing issue. Nonetheless, as the Millennium Goals show, clear and well-defined targets, annually measured (“are we there yet?”) create momentum to drive change forward. The success of COP21 will be defined by whether emerging sub-goals are specific, measurable, achievable, realistic, and time bounded. Now that would be smart. This entry was posted in Life & Health, Natural Catastrophe Risk and tagged climate change, climate risk on December 3, 2015 by Matthew Grant. A recent article in Nature Communications, picked up by the BBC, identified a record mean sea-level rise of 5” (127mm) along the coastline north of New York City during 2009-10. Sea levels fluctuate between years; a swing of this size, however, was unprecedented. This extreme rise in 2009-2010 has been attributed to the downturn of a major current called the Atlantic meridional overturning circulation (AMOC). As changes to sea levels are sensitive to multiple factors, there is volatility around this increase. The AMOC is one of the ocean’s dynamics that is known to have greatly changed over time. It has been shown that weakening and variation of the AMOC is linked to increases of greenhouse gas emissions. Sea level rise is one of the most tangible and certain consequences of a warmer climate. Climate models suggest that even if greenhouse gas emissions were reduced sea levels will continue to increase. Such a dramatic fluctuation, as seen in 2009-10, highlights the potential for significantly elevated storm surge risk in the region and raises the question what will the impact of future long-term sea-level rise have on storm risk. A study by Kopp et al. has attempted to predict probability bands for sea rise. The figure below shows the distribution of expected sea-level rise at New York City’s Battery Park throughout the 21st century. The 50th percentile projection of sea level rise is represented as the red line in the figure. Also shown are the maximum rises in sea levels associated with previous hurricane storm surges. Based on RMS’ estimate of the impacts from hurricanes on residential and commercial property in the Northeast US (from New Jersey north), the 2010 estimate of storm surge contribution to hurricane losses is about 10%. Even where the activity of hurricanes does not change, sea level rise will increase the damage associated with hurricane storm surges. Based on Kopp’s estimates of sea level rise, by 2100 surge losses would contribute about 25% of total hurricane losses. The largest recent hurricane loss occurred on October 29th 2012, when Superstorm Sandy made landfall near Atlantic City, NJ. Based on the RMS best loss estimate, Sandy caused insured losses between $20 and $25 billion, with much of the damage due to storm surge, not wind. In terms of a simple extreme value analysis, the storm surge caused by Superstorm Sandy combined with the tide at New York City’s Battery Park was approximately a 1-in-450 year return period for that location. Based on sea level rise alone, this surge and tide combination at this location would move closer to a 1-in-100 year event by the end of the century. The figure below shows the return periods for a storm surge as high as Sandy’s occurring at New York City’s Battery Park, under different sea-level assumptions. A direct result of increasing amounts of greenhouse gases in the atmosphere will be an increase in sea surface temperatures. While increased sea surface temperatures are likely to cause changes to the activities and intensities of hurricanes, there is no consensus among climate modelers as to the magnitude and direction of these changes. For this reason, the figure below does not consider potential changes in hurricane activity, but focuses solely on sea-level rise, for which there is much more of a general agreement. While the impacts of climate change remain much debated, changes in loss potential will have material effects on the risk to insurers. With the appreciation of the significance of climate change coming to the fore, the next decades will pose a research challenge for the insurance industry, as to how to incorporate evidence for changes in the level of risk. This post was co-authored by Anaïs Katz and Oliver Withers. As a member of the advisory team within capital market solutions, Anaïs works on producing capital markets’ deal commentary and expert risk analysis. Based in Hoboken, she provides transaction characterizations to clients for bonds across the market and supports the deal team in modeling transactions. She has woked on notable deals for clients such as Tradewynd Re and Golden State Re. Anaïs has also helped to model and develop her group’s internal collateralized insurance pricing model that provides mark to market prices for private transactions. Anaïs holds a BA in physics from New York University and an MSc in Theoretical Systems Biology and Bioinformatics from Imperial College London. This entry was posted in Capital Markets, Flood, Hurricane, Natural Catastrophe Risk, RMS and tagged Atlantic meridional overturning circulation, BBC, capital markets, climate change, Hurricane Sandy, Nature Communications, New York City, Risky Business, sea-level rise, Storm Surge on March 9, 2015 by Oliver Withers. 4 Things You Didn’t Know about Why it’s So Darn Cold! The U.S. is currently experiencing a bout of cold weather in several regions, raising the question: are we in for another polar vortex winter like the bone-chiller we had last year? And if so, why? Here are four things you might not know about the current extreme cold weather streak in the U.S. The current cold weather isn’t quite another polar vortex in the U.S. – yet. The polar vortex is a region of Arctic air that rotates around the North Pole in the Northern Hemisphere, trapping and containing the frigid air in its circulation. Every now and then, parts of the rotating pocket of cold air break off into smaller pockets that mobilize southward into regions like North America, bringing with them below-normal temperatures and stormy conditions. Figure 1: General image of the Polar Vortex. Source: Accuweather. As of now, the U.S. is not experiencing full-blown polar vortex effects; only part of the big Arctic air pocket has been displaced into the U.S., so it is more accurate to say that the country is experiencing an outbreak of Arctic air. Last year, most of the U.S. experienced exceptionally cold and snowy conditions, particularly east of the Rockies, as a result of the polar vortex. Early seasonal outlooks for this winter have indicated that this type of severe weather pattern is unlikely to repeat, though one cannot rule out more Arctic outbreaks like this one. You can blame Super Typhoon Nuri in Japan. Many of the world’s largep-scale climate systems and atmospheric patterns are interconnected. You may not know it, but Super Typhoon Nuri, which impacted Japan earlier this month as one of 2014’s strongest tropical cyclones, has played a key role influencing this recent cold air outbreak. Cold air from the polar vortex is separated from warm air by what’s called the polar jet stream; depending on atmospheric conditions, this jet stream can look flat or wavy. Big storms, like Nuri, can alter the jet stream’s shape, pushing parts further north (creating a “ridge”) or south (creating a “trough”) than normal. In Nuri’s case, remnants of the storm pushed part of the polar jet stream north over Alaska, creating a strong ridge. This in turn caused a deep trough to develop over much of the central U.S., making way for Arctic air associated with the polar vortex to flow into the lower 48. It is common for storms to affect the jet stream’s shape, but because Nuri was so intense, it influenced the jet stream enough to trigger a prolonged period of unseasonably chilly weather from North Dakota to New York. Climate change could have something to do with it. Our climate is changing, but there are differing views on how climate change affects the polar vortex. Some posit that a warming climate may lead to more frequent cold air outbreaks due to increased sea ice melting. This would allow more energy to move into the atmosphere and weaken the jet streams, thereby increasing the likelihood of cold Arctic air escaping southward into regions like North America and Europe. Other scientists argue that cold air outbreaks are common and part of the natural variation of the climate. They also suggest that it is extremely hard to link a massive, long-term shift in climate (for example, global warming) to individual weather events. It’s also worth noting that the U.S. takes up less than 3 percent of the Earth’s surface, so even though this region is experiencing cold air outbreaks, there are other parts of the world experiencing record heat at the same time. Other parts of the country could be in for abnormal weather due to El Niño. Also affecting this winter’s temperatures is the weak central El Niño being forecast; this series of climatic changes happens when the tropical Pacific Ocean, particularly the central and eastern regions, becomes warmer than average. As the ocean gets warmer with respect to its average temperature, the stronger the El Niño signal. El Niño often results in changes to precipitation and temperature patterns throughout the world, including North America, and especially in the winter. The most common impact is wetter-than-average conditions along the Gulf Coast, warmer-than-average conditions in the Northern Rockies and Pacific Northwest, drier-than-average conditions in the Ohio Valley, and, to a lesser extent, wetter-than-average conditions in California and the southwestern U.S. The weak El Niño forecast means that these impacts are possible, but not likely to be extreme. This entry was posted in Life & Health, Natural Catastrophe Risk and tagged climate change, El Nino, extreme weather, polar vortex, Super Typhoon Nuri on November 24, 2014 by Jeff Waters. Indications are growing that there is a shift underway in the risk landscape in California that may last several years, prompted by the ongoing severe drought. It’s no secret that California is a region prone to drought. History shows repeated drought events, and there is emerging consensus that the current drought has no end in sight. In fact, there are indications that the drought could just be getting started. The situation could be exacerbated by climate change, which is increasing the rates of water evaporation in western regions of the U.S.
We also learned recently that the groundwater levels in Colorado have been depleted by a “shocking” amount, which affects California as a significant amount of water used in the state’s agricultural industry comes from the Colorado basin. California’s abundant agricultural industry has been fueled by its high sunshine input and the availability of water from the Colorado basin.The state produces nearly half of U.S.-grown fruits, nuts, and vegetables, according to statistics from the California Department of Food and Agriculture. The sustainability of the agricultural industry is now in question given the emerging information about the security of the water supply, with long-term implications for food production—and therefore prices. While the threat is not to the California economy as farming accounts for little more than two percent of the state’s $2 trillion economy, implications will be to broader food prices and food security issues, as well as the security of those employed to work in this industry. From a natural catastrophe perspective, we can expect the severity and frequency of wildfire outbreaks to increase significantly for several years to come if current indications prove true. In addition, we can expect that more areas will be impacted by wildfires. The insurance industry needs to pay close attention to methods for estimating wildfire risk to ensure the risk landscape is accurately reflected over the coming years, just as it adapted in the late 2000s to a forward-looking, medium-term view of the probability of landfalling hurricanes accounting for multi-decadal cycles of increased and decreased hurricane activity in the Atlantic basin relative to the long-term average – and the subsequent consequences for the medium-term risk landscape. This entry was posted in Drought, Natural Catastrophe Risk, RMS and tagged agriculture, California, climate change, Colorado, drought, Insurance, wildfire on August 5, 2014 by Claire Souch.